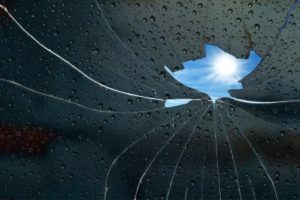 Home IT Marketing	How Is the Broken Window Concept Affecting Your IT Marketing? IT marketing requires professionalism for many reasons. But modern culture seems to have forgotten the importance of professional ethics in many ways. Today, it almost seems as though certain aspects of society don’t understand what it means to be responsible in the workplace. You’ve got to be careful this undercurrent aspect of modernity doesn’t negatively impact your bottom line. Here’s what that means. In a given neighborhood, if a window is broken on a property and it isn’t fixed, that’s like a “steal from here!” beacon to any would-be hoodlums. They realize that there is opportunity for theft, and there won’t be recriminations. Especially if such a broken window remains on a property for a long period of time, there will definitely be an increased likelihood of break-ins. If there is poor performance that goes unchecked, other employees will take a tack that likewise returns poor performance. Look, nobody wants to work in marketing— or at least very few— because they’re passionate about the field. It takes a special kind of individual to have an inhering love for marketing. Most like one part or another, but not the whole “kit and caboodle,” as the saying goes. They may like interacting with potential clients, or making graphic art pictures, or designing ad campaigns. But then they dislike the distribution of advertisement, or the paperwork which follows a marketing strategy’s finalization, or any number of things. Even the most passionate marketeers must necessarily deal with aspects of the occupation which are less than desirable. It’s human nature to eschew that which is disliked. That’s why people don’t like working out, but they do like eating fast food. Kids don’t like vegetables— in short: nobody likes what’s good for them! You mustn’t tolerate low performance, insubordination, bad habits, etcetera. If you do, your IT marketing team will see an increase in such behavior. • Show up early to work and leave late. • You’ve got to wear clothes that are properly ironed and washed. • You have to shave, wash regularly, make sure your hair is combed. • You must make every effort to be above reproach. Obviously, you can’t do this perfectly, but if they can see your attitude, then that will help trickle down as well. They say you “can’t fix stupid.” Also, you can’t force employees to have good attitudes. But you can give someone the tools they need to acquire the proper attitude on their own, and one of the best ways to do this is to lead by example. Additionally, someone who isn’t the sharpest tool in the shed can be sharpened— it just requires putting that tool to work in an area where that tool is suited. Forrest Gump never would have been good at giving orders on a battlefield, but he sure could heft an injured man and run like the wind. He wasn’t a diplomat, but he sure could play ping-pong. And he wasn’t a real person, but he sure serves as an excellent object example for this piece of writing! So, lead by example and don’t tolerate underhanded work. This will help your IT marketing exploits maximize profitable returns. What IT Services Marketing Lesson Can We Learn from Brer Rabbit?